Like most of us, you probably spend most of your day at the office, sitting in a chair, working the clock away. 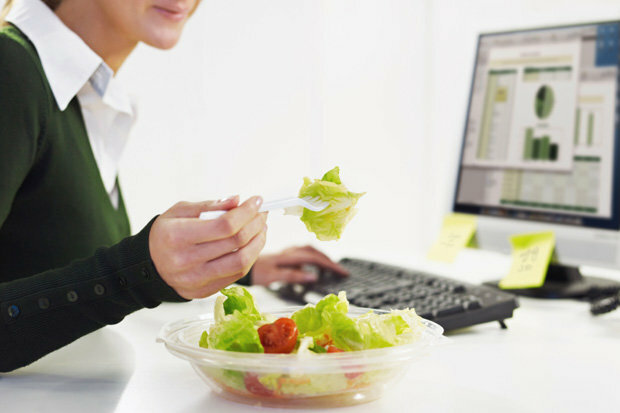 A recent article from caloriesecrets.com tells us “How to Eat Healthier at the Office”. Keeping a healthy environment at the office is important for health and for weight loss goals, but for many people the work place can be a struggle to maintain healthy eating habits. Follow these simple, practical steps you can take to create an environment that encourages healthy eating at work. It may be a struggle to eat something before you head out the door in the morning. However, making extra time to have breakfast, even if it’s as little as 5 minutes, may be worth the extra hassle because of the health benefits associated with eating breakfast. One suggestion for why this happens is that missing a meal in the morning may make you eat more later in the day, thus over compensating your calorie intake. Eating breakfast can help stabilize blood sugar levels in the morning and may help you make better food choices at work throughout the day. Don’t have any time for breakfast? Take a few minutes the night before to prepare breakfast. Breakfast can be as simple as grabbing a banana and a bar on your way out the door. Keep in mind when planning breakfast to include a protein source in the morning, as some research suggests this can extra help with regulating food intake later in the day. Avoid the temptation to go out for lunch on a consistent basis. You will save money and be healthier by packing your own meals. Don’t have time? 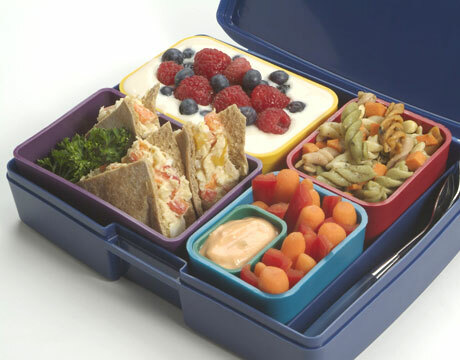 Pack your lunch the night before, possibly while you are also getting your breakfast laid out for the next day. Combining a lean protein, healthy fats and fiber in a meal can best stabilize blood sugar levels. 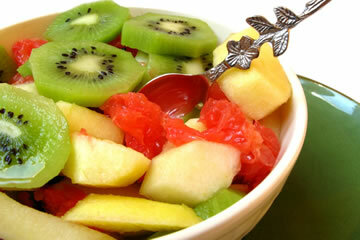 Eating a healthy lunch can help you combat the urge to indulge on treats in the office or around other co-workers. Schedule breaks for you to get up and walk around throughout the day, even if it’s just for a minute or two. Research suggests sitting for long periods of time can be detrimental to health. Sitting doesn’t burn that many calories. Increase calorie expenditure by taking short walks, jumping jacks, body weight lunges/squats or walking up and down flights of stairs every hour or two (ideally) for 5-10 minutes. If that is unrealistic, start somewhere, even if it’s a couple minute break every 2-3 hours. Something is better than nothing. Moving more during the day could also motivate you to eat healthier through the day. 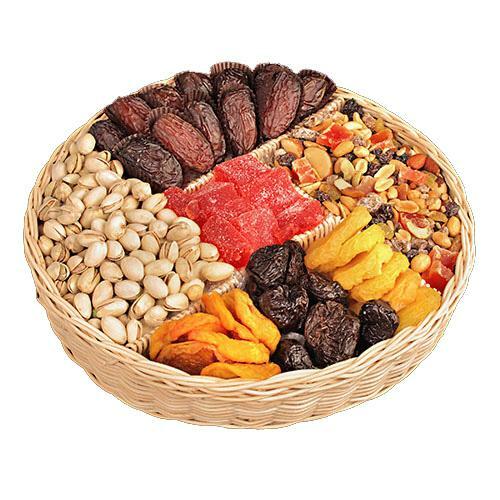 If the urge comes to dip into the office candy dish, go for a walk around the office instead. One reason eating healthy at the office is difficult is because of the many sweets and treats around co-workers desks and in the break room. Instead of letting these things sabotage your weight loss efforts, alter the environment so the healthier option is easiest. Move candy dishes and jars out of plain sight and on a higher shelf or in a drawer. It seems too simple, but this little move can make a big difference on calorie intake. Have healthy snacks in an office drawer, so when hunger or snack cravings hit you are prepared with options that aren’t sugar laden. Store healthy snacks like nuts, dried fruit or whole grain crackers so you can munch on them when needed instead of sweets in the break room. View the original article at http://www.caloriesecrets.net/how-to-eat-healthier-at-the-office/.